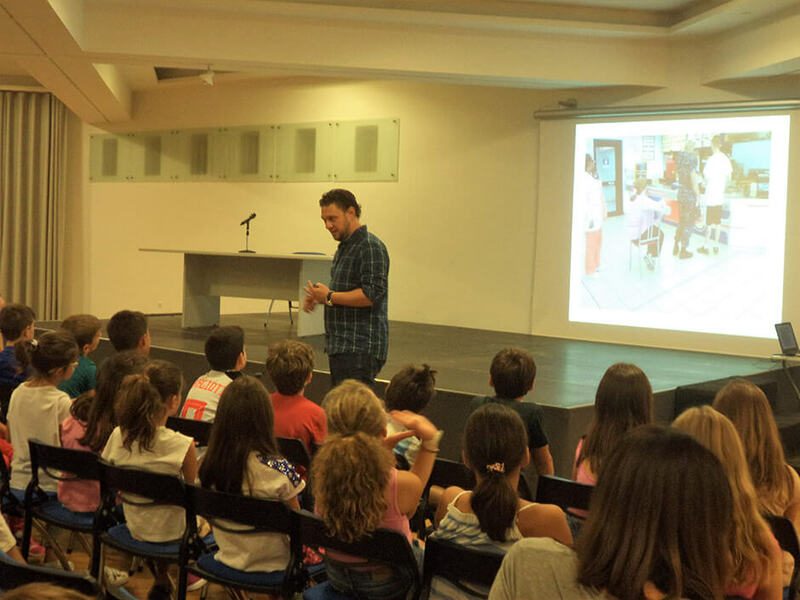 As part of Ellinogermaniki Agogi (EA) School’s interdisciplinary project on nutrition, Dr. Ioannis Ioakeimidis (Assistant Professor at the Department of Biosciences and Nutrition at the Karolinska Institute in Sweden) visited the School in Athens, Greece on September 21st. The students had the opportunity to discuss with him and solve questions on issues related to proper nutrition and compare eating habits and behavior of children in Greece and Sweden. After thinking about it, the students came to the conclusion that proper nutrition combined with physical activity improves our quality of life.